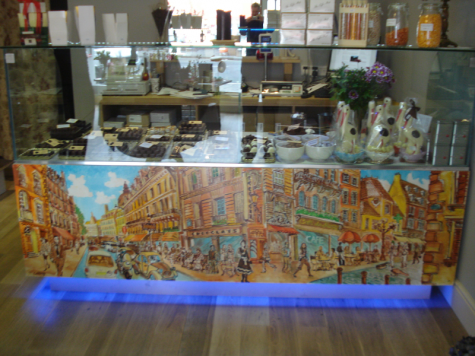 Mural panel commissioned by a luxury chocolate shop in Oxford for the main counter. After consultation with the client a French theme was decided on. The panel is painted in oils onto mdf board and finished with a varnish to protect it from wear and tear.